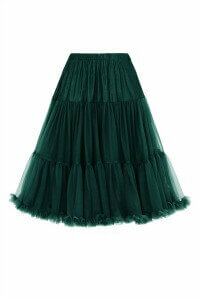 Enter the Banned Retro 50s Lizzy Lifeforms Bordeaux Petticoat. 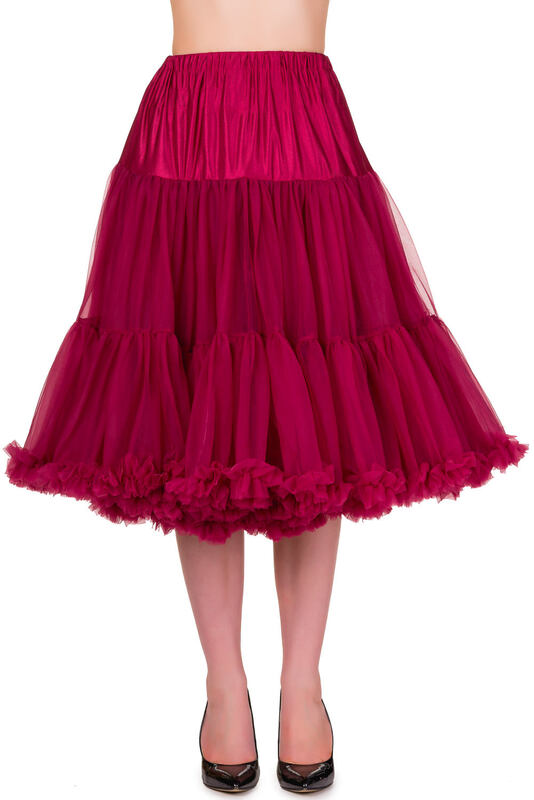 The top part of the petticoat is made from a gorgeous wine red tulle, and the skirt is crafted from a shiny sateen fabric, which is finished off with an elasticated trim. Set yourself apart from your friends with ease and demonstrate your own unique sense of style with this Banned Retro 50s Lizzy Lifeforms Champagne Petticoat.